Muscular Strength increases in two ways. Muscular adaptations occur through an increase in the cross sectional area of muscle fibers improving the contraction properties of muscle tissue leading to a maximal contraction that provides more force and power. Muscle hypertrophy (Muscle hypertrophy involves an increase in size of skeletal muscle through an increase in the size of its component cells) usually begins after 4 to 6 weeks of training. 10 Sessions $225 per person $250 for buddy system. 20 Sessions $400 per person $425 for buddy system. 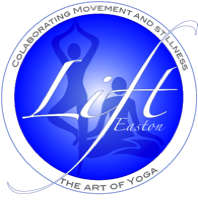 Special Rate for Unlimited Monthly Yoga Students, 10 sessions $200.